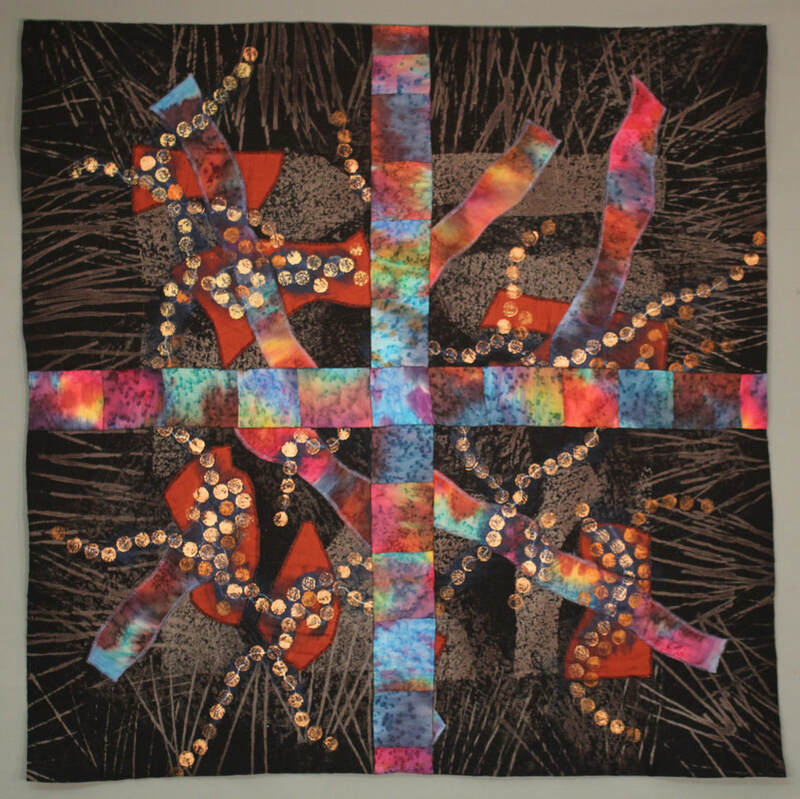 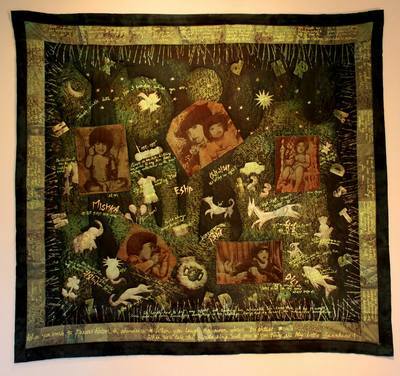 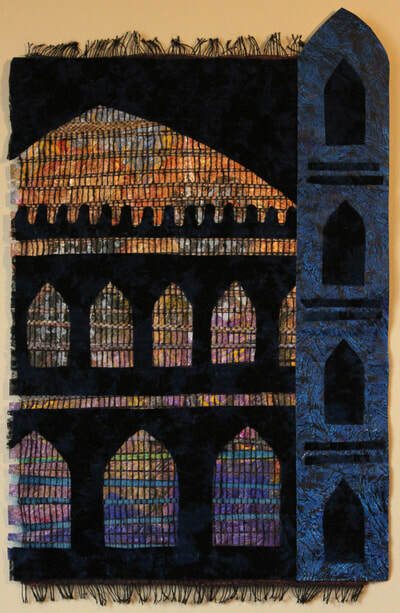 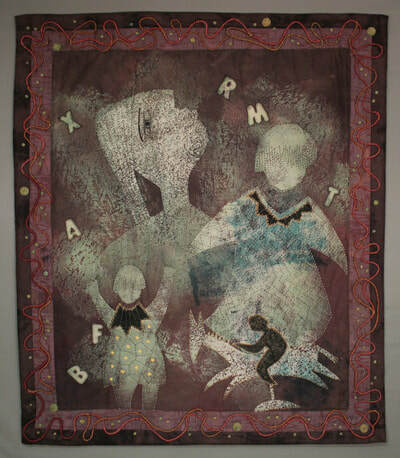 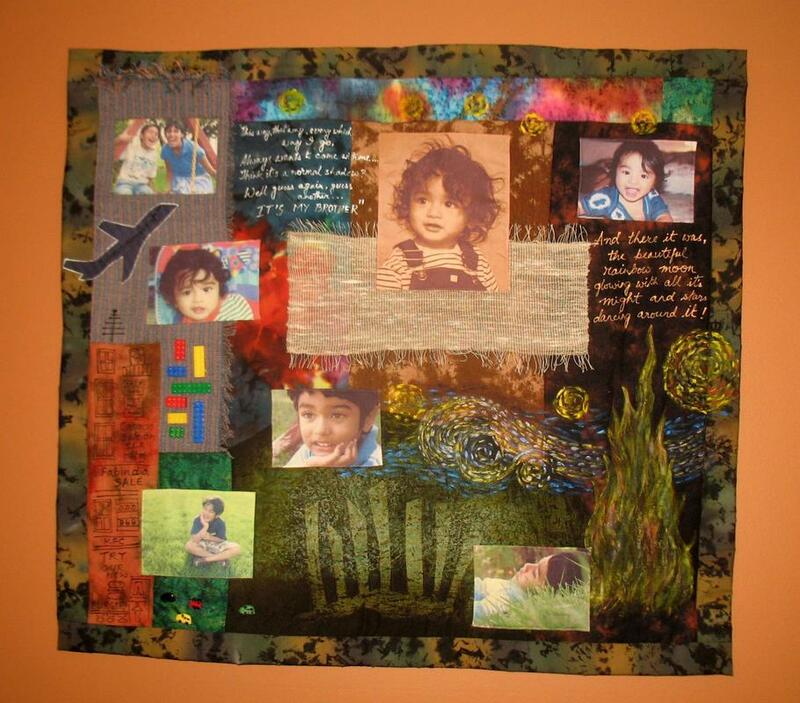 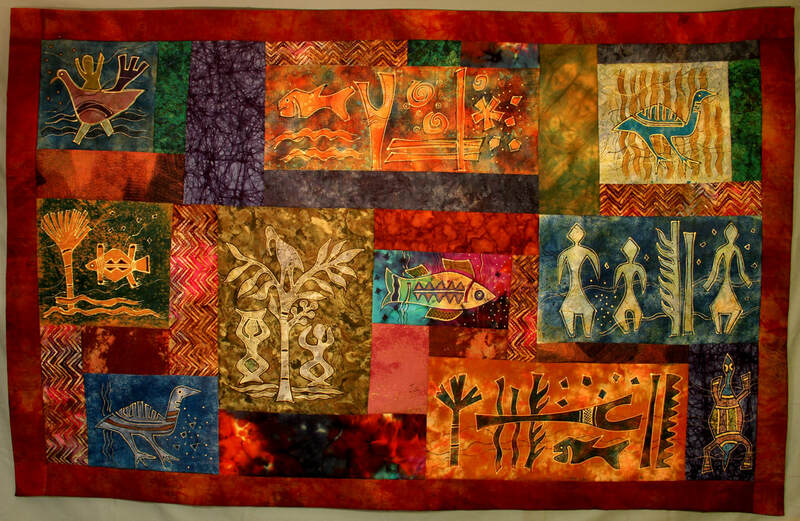 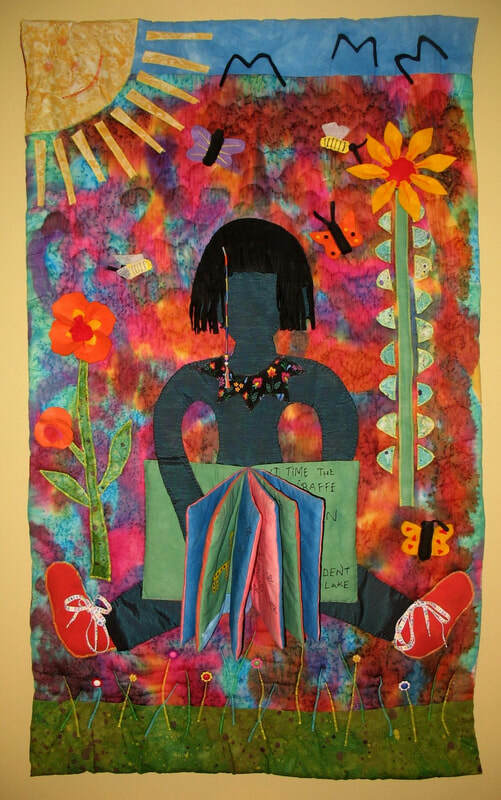 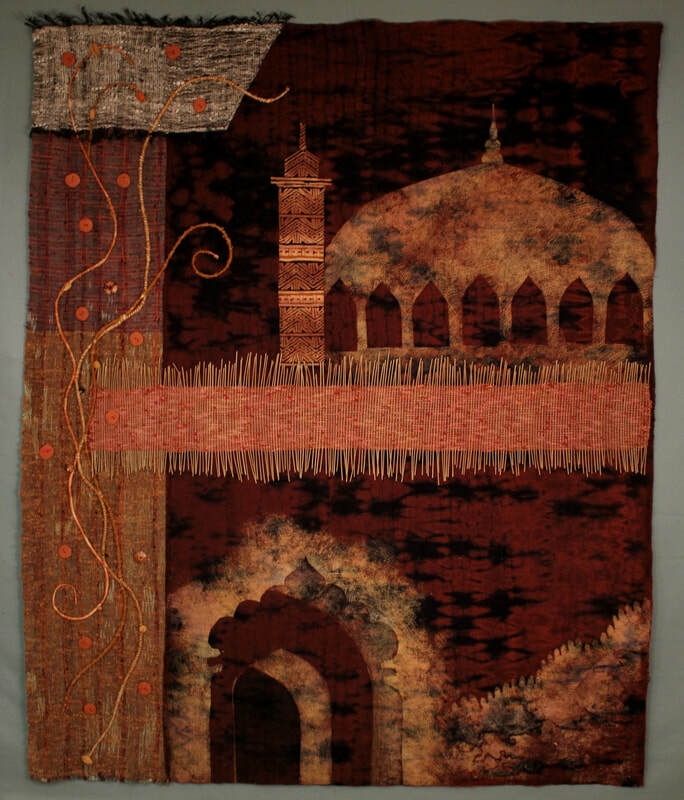 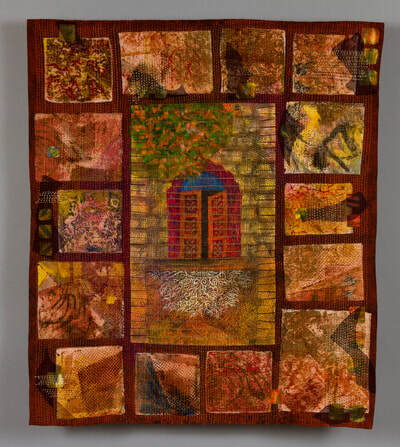 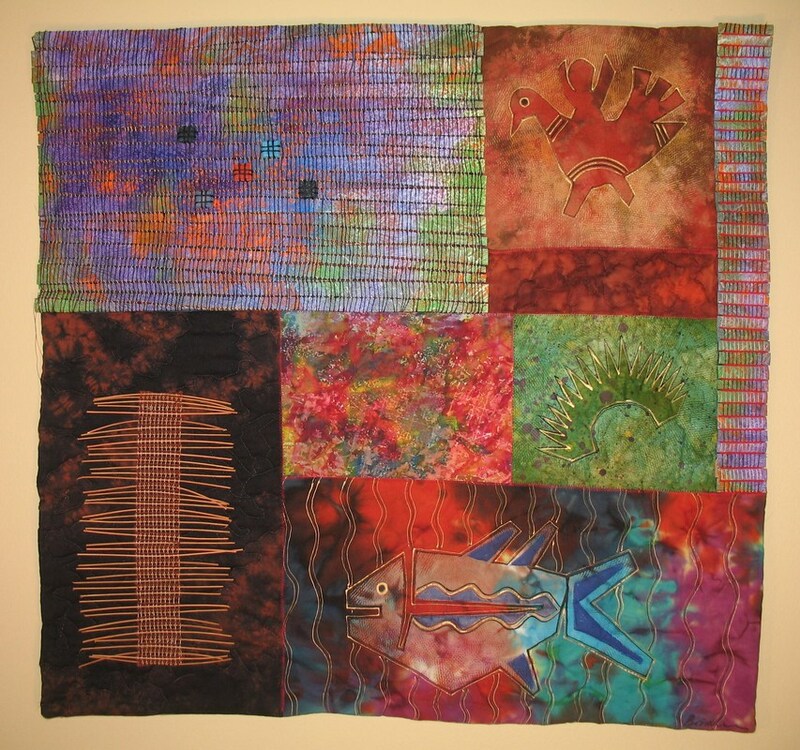 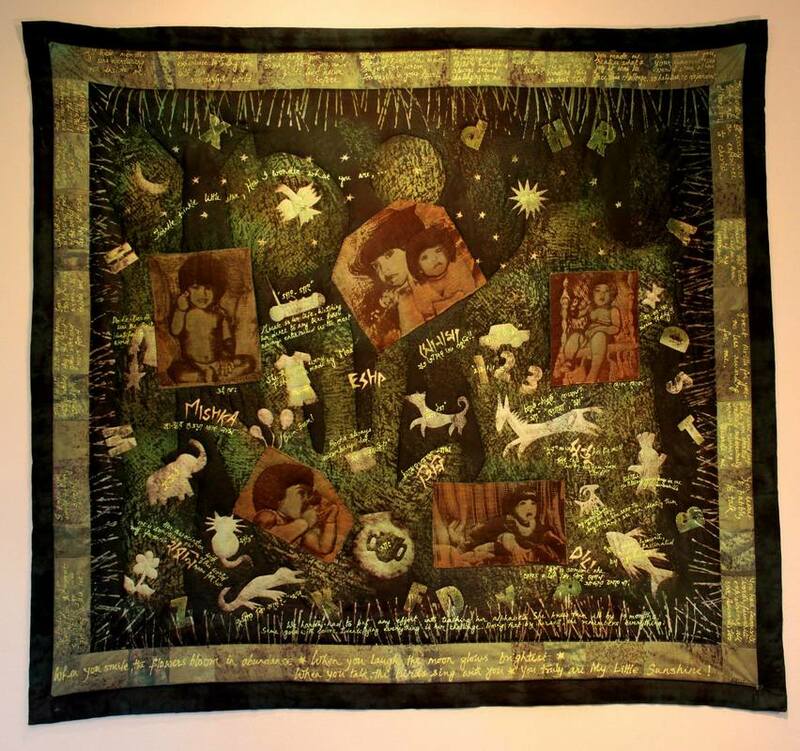 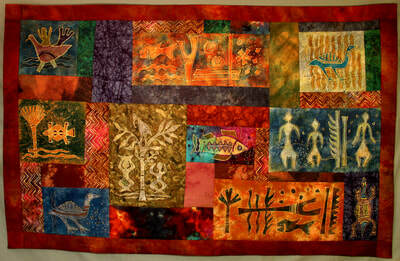 My art quilts are far from traditional quilts. 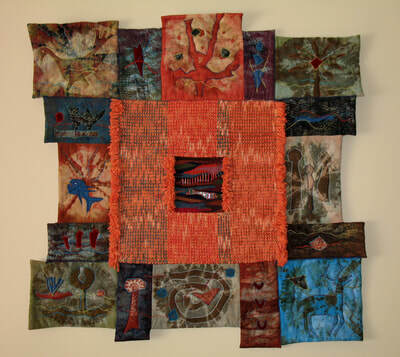 They are mostly one-piece quilts or with very little piecing. Most fabrics are created by me, dyed, printed, embellished in many different techniques. 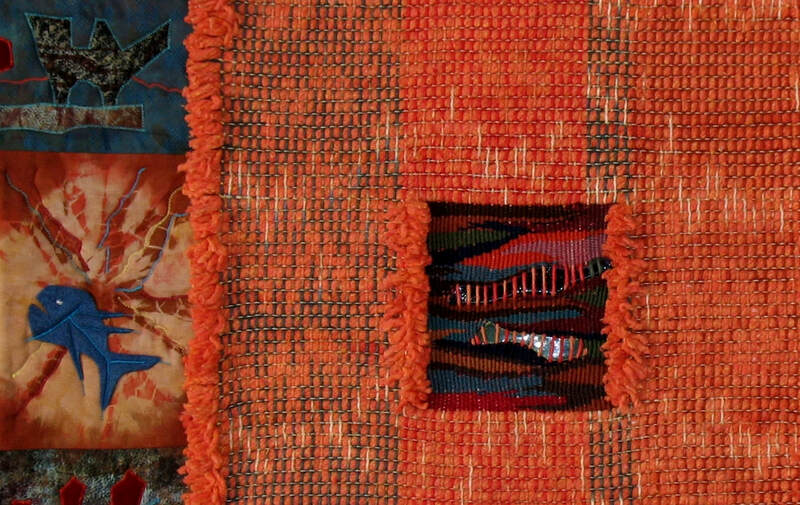 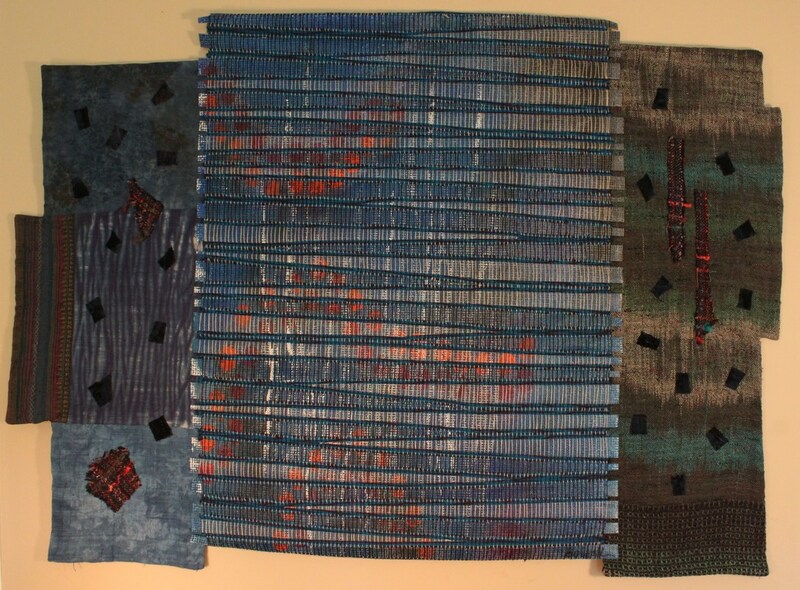 I am in love with weaving as much as with playing with fabrics, and surface designing them. 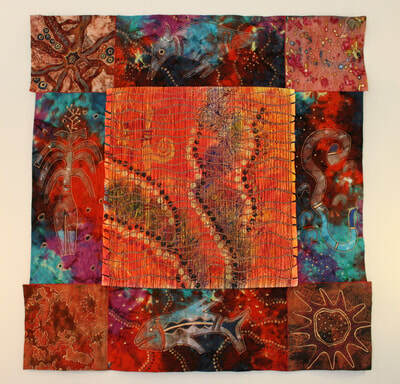 As a result, most of my quilts are a combination of both. 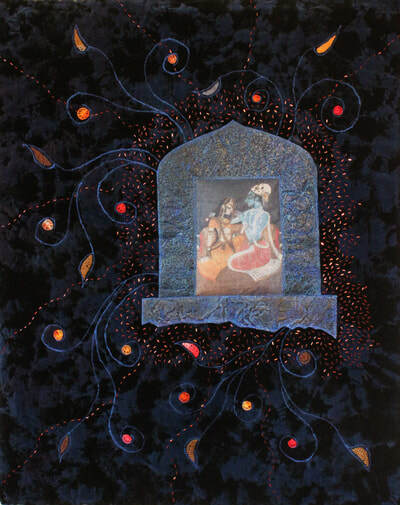 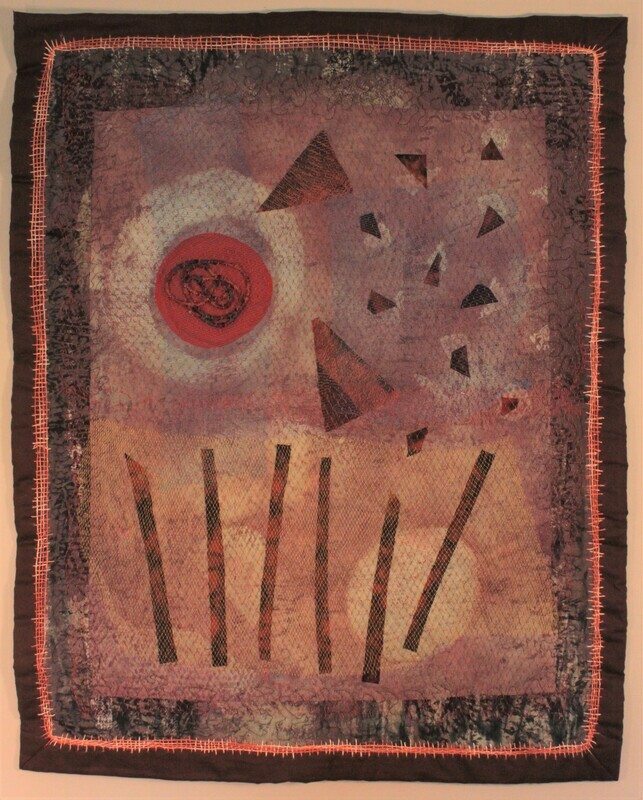 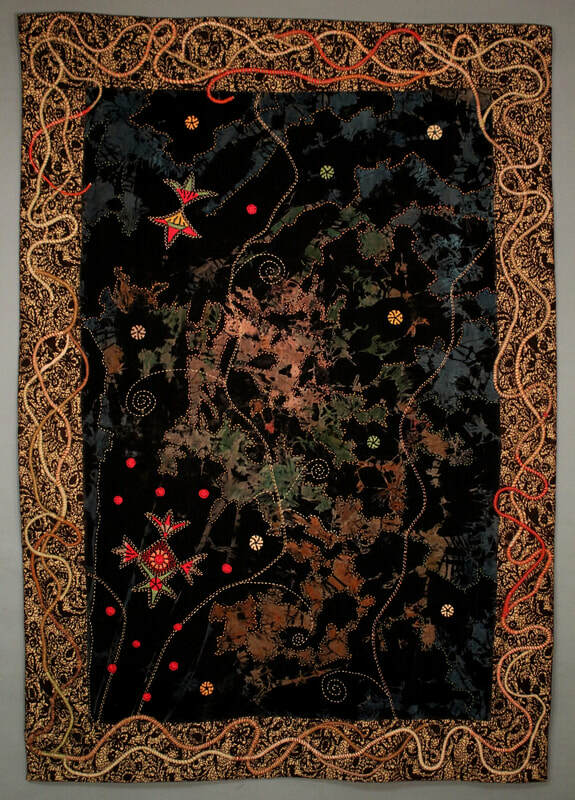 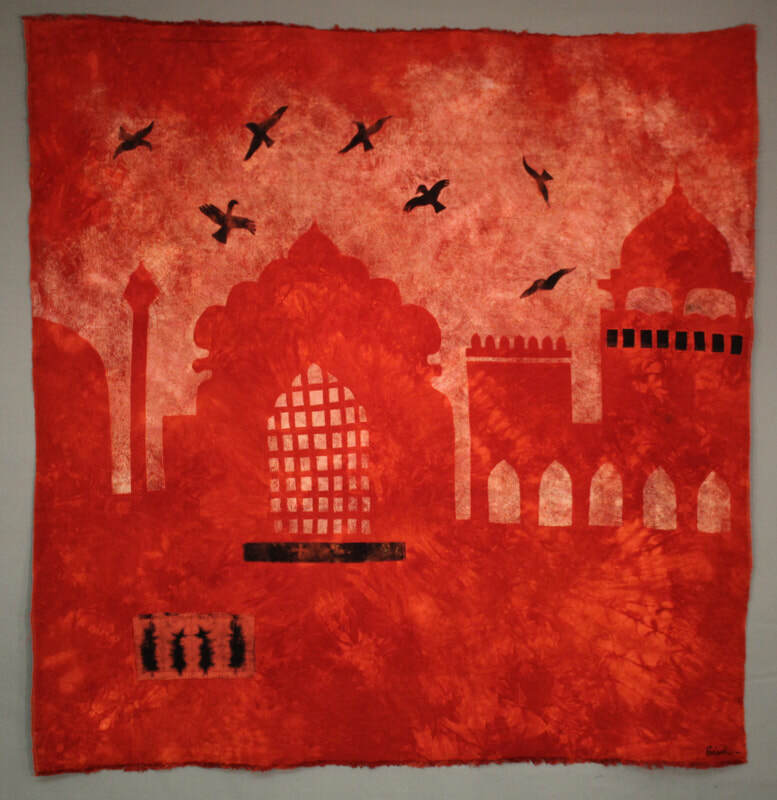 With weaving, I have always explored with various materials, besides just yarns, most favorite being painted paper. 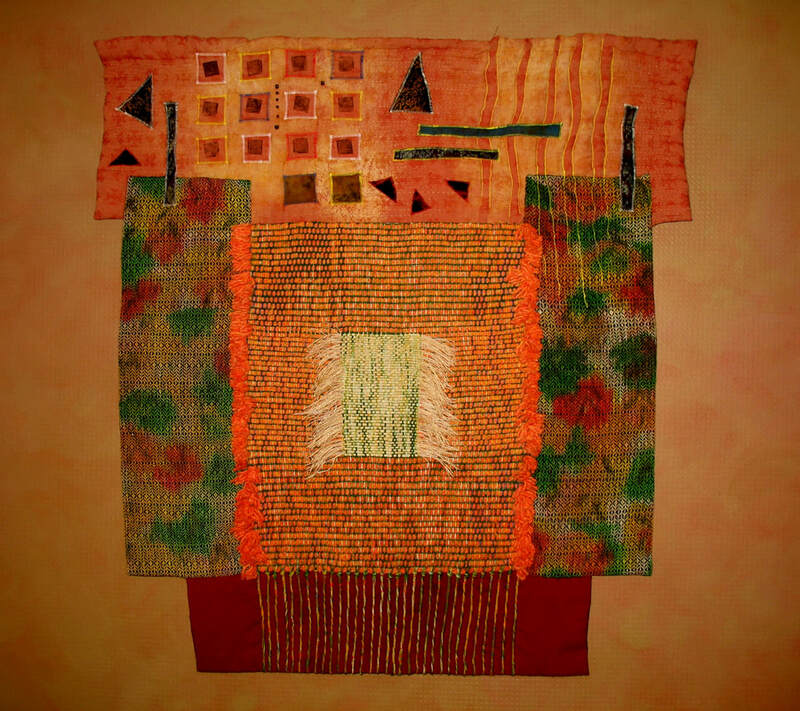 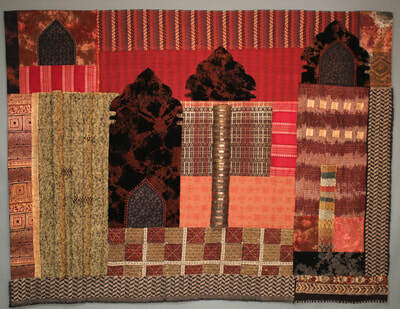 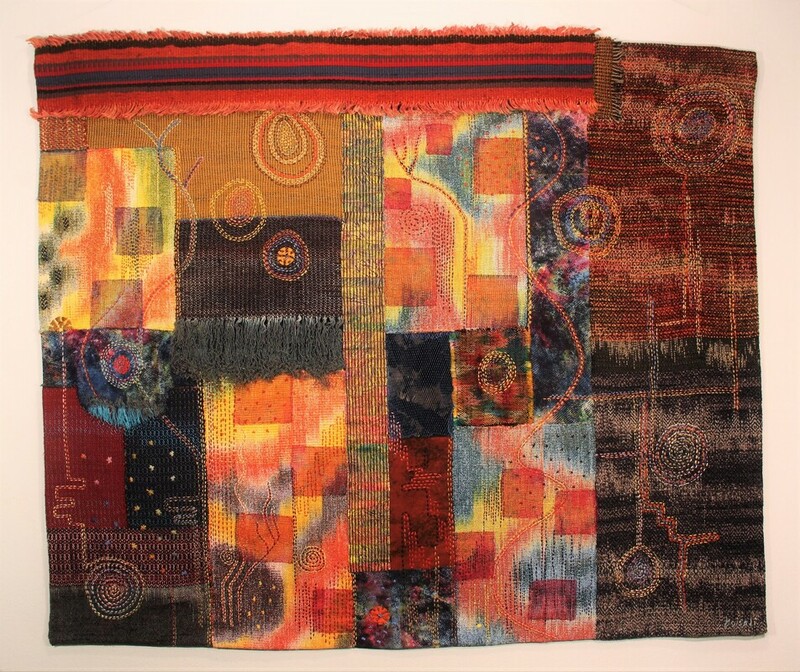 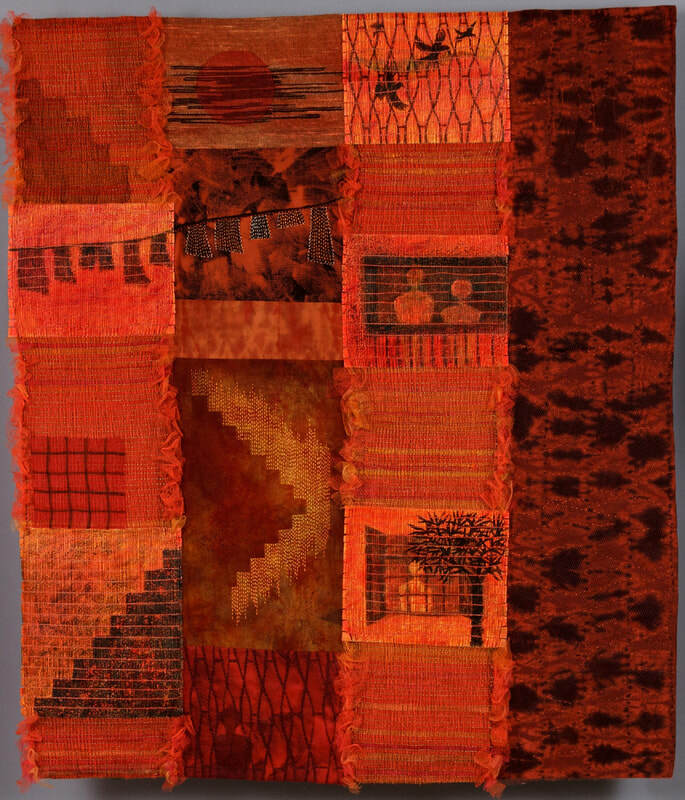 I weave with strips cut out of the painted paper and have incorporated them in my quilts. Materials like small pieces of ceramics, reed, jute have been used too. 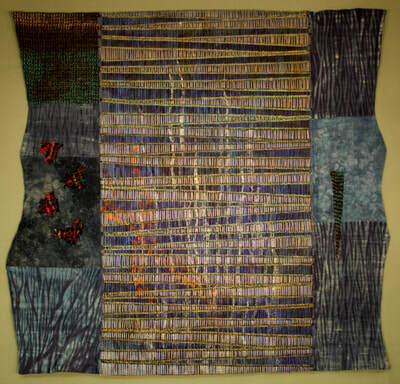 I love techniques like Ikat and painted warp, so pieces of those too get used in my quilting. I use both machine quilting and hand quilting; I prefer hand quilting because of the textures.